This Reef Is One Mighty Impressive Backdrop! Where else would you expect to find 160 miles of sparkling crystal seas, a wealth of history, and lively nightlife as well as world class diving and snorkeling? Known as 'Florida's jewels' because of the magical sparkling effect created by the closeness of the sea on both sides is the gorgeous holiday island of the Florida Keys, Key West. No doubt this will be a holiday to remember as you can spend your days swimming with dolphins or experience the thrills of a diving Key West day trip. Chances are you'll do at least one snorkeling in Key West adventure on the splendid reef where countless colorful reef fish and a blanket of soft multihued corals create a most impressive backdrop. There are so many things to do in Key West that you really do need to spend at least a week if you can. Enjoy a leisurely Key West sunset cruise or take the children on a snorkeling Key West adventure where they can swim with loads of fish in the safe shallow, crystal clear waters. Visit Ernest Hemingway's home in the Old Town or if you want to see even more of the region's sea creatures, visit the Key West Aquarium. There is certainly no shortage of water sports and other terrific Key West attractions to entertain everyone. The accommodations range from a picturesque quaint historic Key West inn to luxurious hotels and resorts. What more could you ask for? A nice restaurant conveniently located close by? No worries, many Key West hotels are conveniently situated on the well known Duval Street, which has plenty of great choices available when it comes to eating and several pubs to quench that Key West thirst after spending so much time snorkeling in Key West and exploring the spectacular reef. 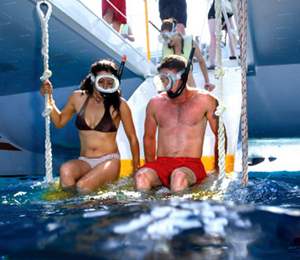 A snorkeling in Key West experience is an affair to remember. 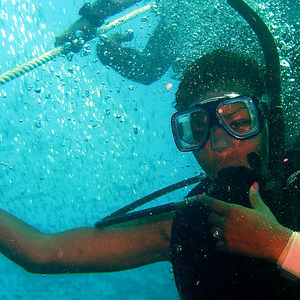 It's a whole new world under the sea and Key West is a snorkeler's paradise. Investigate the colorful shallows of Florida's Key West which is home to an awe-inspiring array of underwater life, stunning coral reef formations, and best of all, graceful dolphins! Watching these delightful creatures play in the wild is an incredible sight that you will never forget. 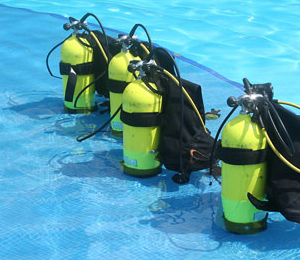 This is one for the entire family, so do take the children with you to experience the magic of snorkeling Key West. Need A Bit Longer Under The Water? The coral reef and crystal blue waters that surround this beautiful island paradise are not to be missed, as they are indeed a natural, treasure filled escape from reality! 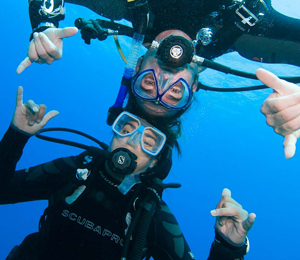 If you would like an opportunity to stay under water a little longer, make sure that you book your Key West Diving ultimate adventure for a complete day of fun exploring wrecks like the Vandenberg and a spectacular underwater fauna that you simply cannot access by just snorkeling Key West.